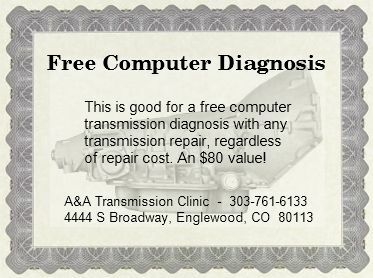 Print this page and bring it to A&A Transmission Clinic for a free computer transmission diagnosis with any transmission repair. An $80 value! Valid only with a printout of this page. Applies only to transmission repairs completed by A&A Transmission Clinic. No minimum charge to apply.